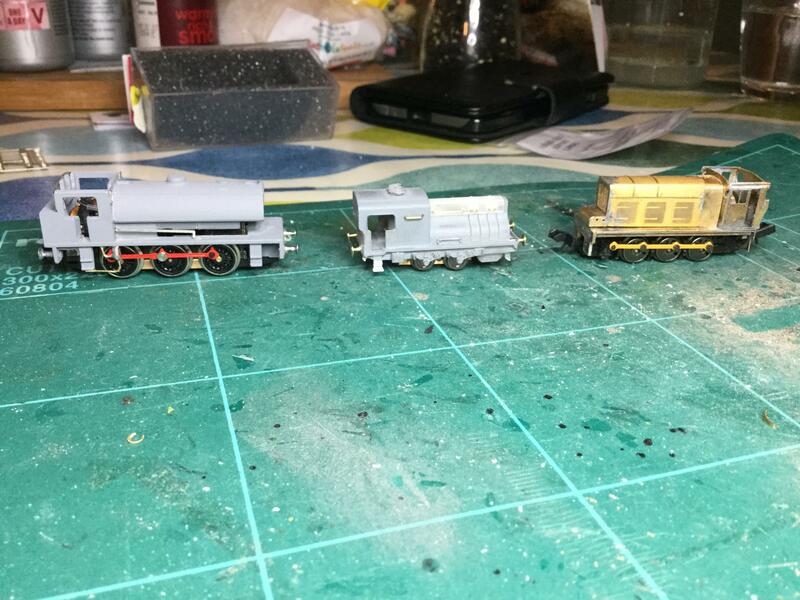 Some shunters on the workbench today. 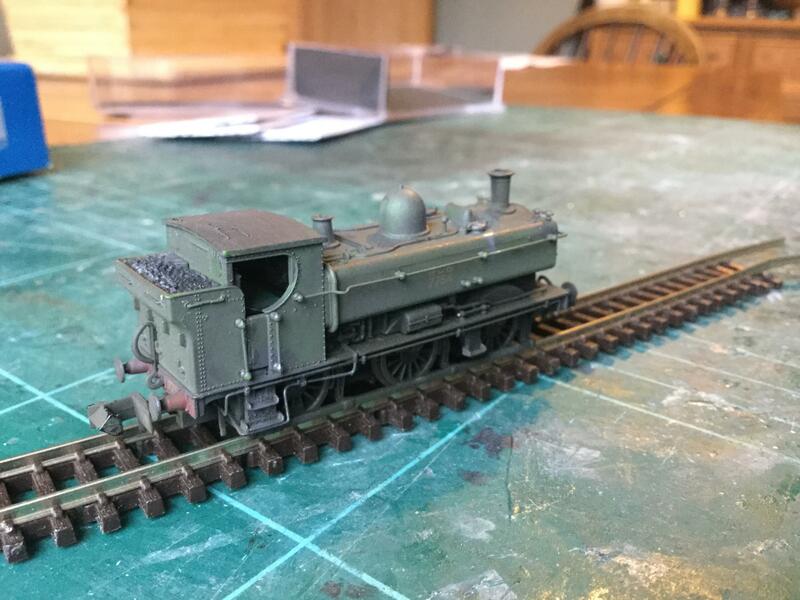 Made a little progress on the Hudswell Clarke today. Does anyone have a spare J94 chimney they could sell me, or a non-runner I can buy and break? I need a chimney for the Hudswell Clarke and one of these will fit the bill! Thank you, I hadn't thought I'd get one there for some reason, I'm not used to searching for steam loco bits! I've since found N Brass do a variety of chimneys, and I'll treat the Hudswell to a nice turned brass one. More progress. I got a delivery from N Brass today so the HUdswell Clark now has a chimney, buffers and steps. Austerity has new ladders and lubricators. Sentinel now sits straight but still needs couplings. Cruel close up. Still needs some work but nearly there! That Hudswell Clark is a really attractive looking kit. Sorry if I have missed this from elsewhere, but who produces this as a kit...or have you been particularly brave and scratch built it? That looks like a nice solid build of an unusual prototype (in N at least!). Great work and well done! Have you managed to source a chimney for the J94 from BR Lines? 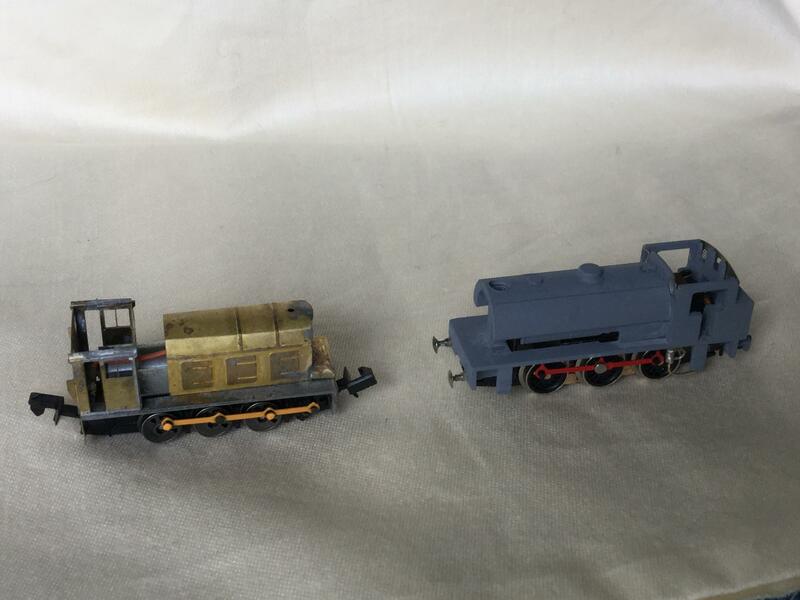 It is a BH Enterprises body kit which as the instructions say is shrunk down twice from an O Gauge kit to OO, and then again to N. this leaves some of the smallest bits unusable like the fold up footstep edges. Also, no castings so no chimney, but they do supply round buffers. 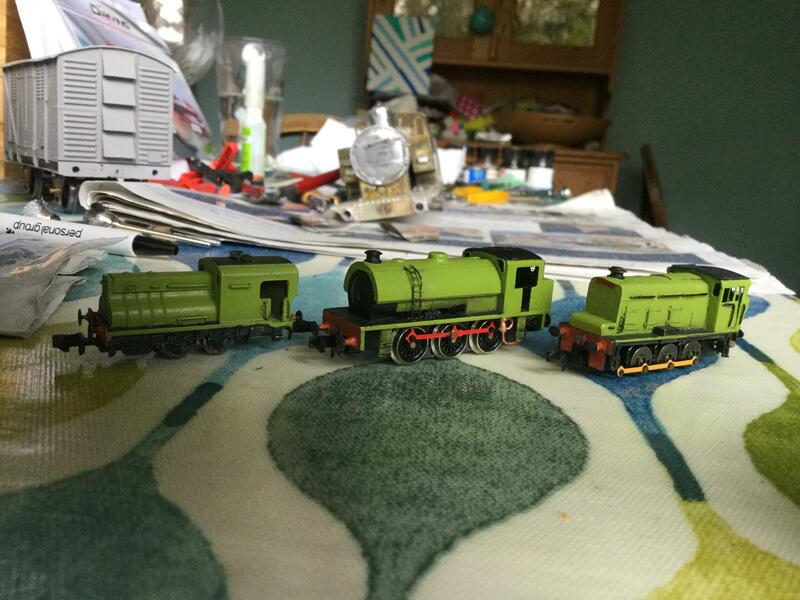 I sourced replacement footsteps, chimney, drawhook and Oval buffers from N Brass as they all add to the weight. 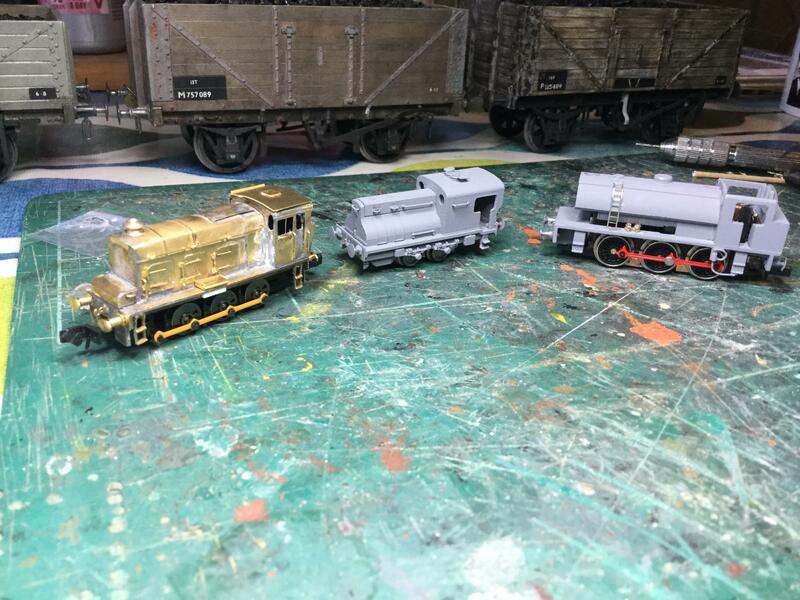 It is meant to fit the Minitrix Dock Tank chassis, but for better running and to include a jackshaft that the original loco had I chose the Farish 04 chassis backwards under the body after seeing a finished model on 'another forum'. This introduces different compromises however, as to fit the chassis under the bodywork the gearbox casing at the front needs shortening and moving to the very front bufferbeam. An additional piece of bodywork then needs fashioning from the fret edge to fill the gap between the original casing and the cab. I think it still looks like a Hudswell Clarke though! It certainly does look like a Hudswell Clark. 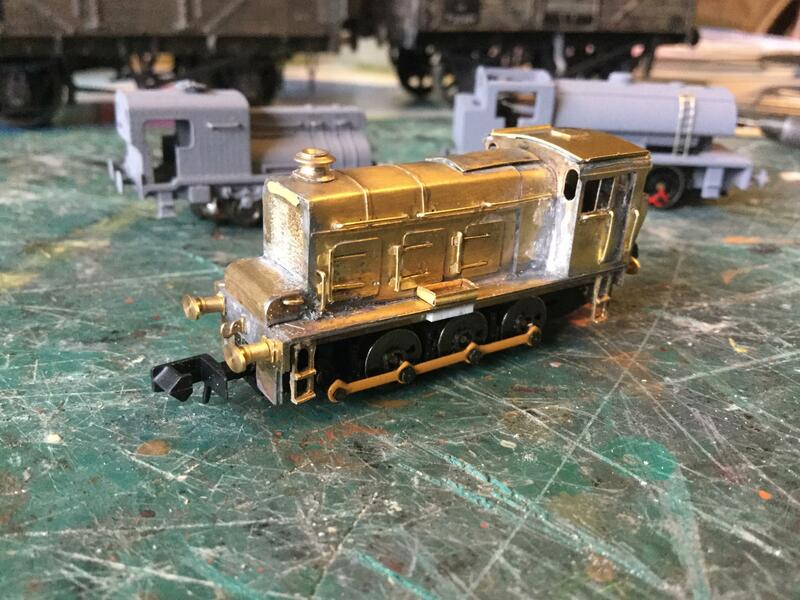 Nice to see some of the more unusual shunters in N gauge. The 04 chassis certainly works, even if you need some additional surgery to the body. This is it running Monday before it acquired chimney and buffers. Latest progress. Still got some finishing details to do but they’re getting there. Looks like quite a nice paint finish...rattle cans? 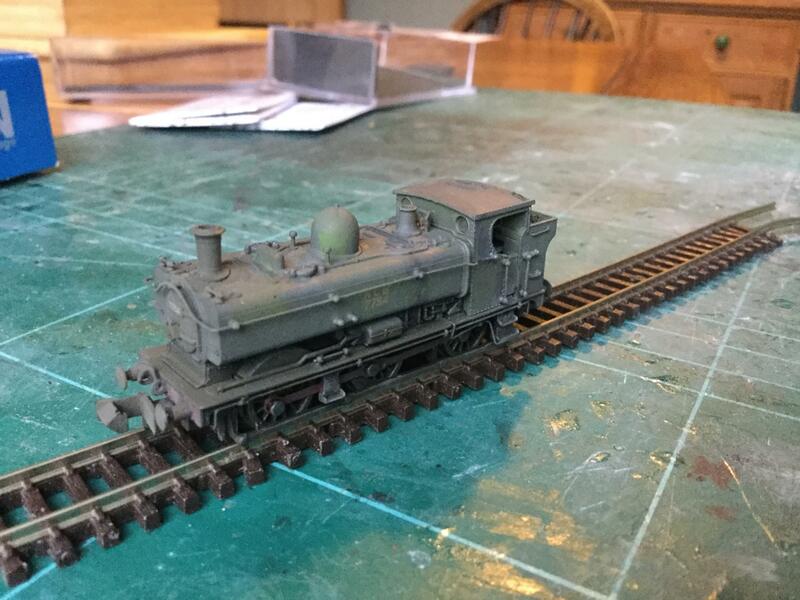 Rover Applejack, last used for a 16mm O&K Shunter and so needed using up! It needs letting down a bit and the weathering and rust to come should sort it out.